Al Mukalla: Hundreds of Yemeni troops, backed by UAE military advisers and fighter jets, seized control of Al Sayed district, a major bastion of Al Qaida militants in the southern province of Shabwa, local Yemeni military officers told Gulf News on Wednesday. Mohammad Saleh Al Qumishi, the commander of the Yemeni troops that attacked Al Sayed, locally known as Shabwani Elite Forces, said that his forces stormed Al Sayed on Wednesday morning, forcing Al Qaida into fleeing to the provinces of Marib and Baydha. “We entered Al Sayed today and set up checkpoints in Yashbum, Al Sefal and Al Mahdhra regions,” Al Qumishi said, adding that his forces began marching toward Al Sayed from Azzan and Balhaf region in the east and stormed the district through a rough road apparently to avoid Al Qaida’s booby traps. Known for its rugged mountains, Al Sayed has become a hotspot for Al Qaida as the militants use its mountains and caves for storing arms and training fighters. The district is the birthplace of Anwar Al Awlaki, the US-Yemeni cleric who was killed by US drone in 2011. Military commanders believe that Al Qaida’s heavy arms and ammunition that they looted during their rule of Al Mukalla in 2015 are stored on Al Sayed’s mountains. Shortly after gaining control of the district, Yemeni troops raided the house of Sa’ad Bin Atef Al Awlaki, a senior Al Qaida commander in the province and combed farms and villages for Al Qaida militants. Al Qumishi said that his forces encountered almost no resistance and military commanders from the UAE were fighting with them on the ground. “We are thankful to the UAE military who built the Shabwani Elite forces from scratch and who are now fighting with us in this battle,” Al Qumishi said. Bracing for a counterattack by Al Qaida, Al Qumishi said that his forces are fortifying their positions in Al Sayed. The current military operations against Al Qaida are part of a larger cleansing operation that started in August last year aimed at driving Al Qaida militants from Shabwa province. Yemeni troops have seized almost all major Al Qaida strongholds in the oil and gas province and squeezed the militants into a chain of rugged mountains that link Shabwa with the provinces of Abyan and Baydha. Al Qumishi vowed that his forces would not allow Al Qaida to regain a foothold in Shabwa’s urban or rural areas. “We are determined to cleanse Shabwa of Al Qaida.” Al Qumishi said. 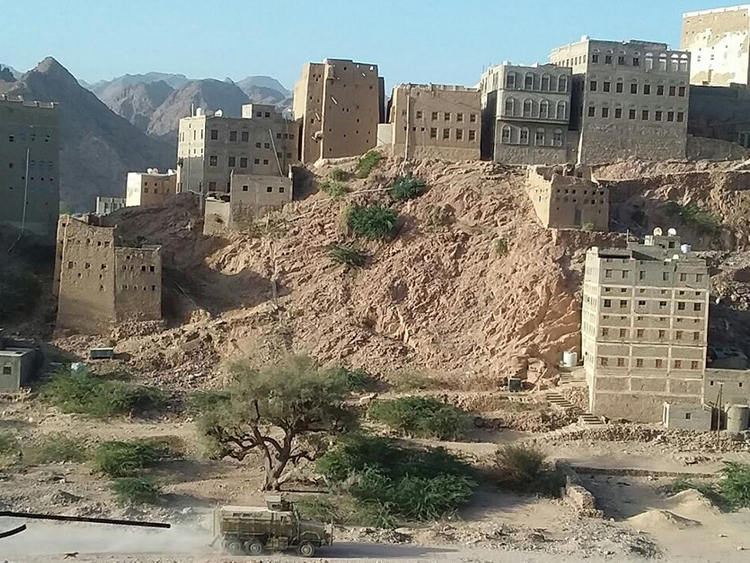 In December, the Yemen army announced driving the Iran-backed Al Houthis from Shabwa after seizing control of Bayhan town, their last urban bastion in the province.